Look no further than the Scale Weighing Systems SWS-PCS Series for all of your Portable Price Computing Scale needs. 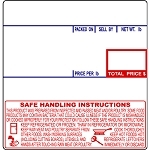 With nearly all of the features of a fully loaded Label Printing Scale, the SWS-PCS Series can accommodate the job for a lot less $$$. Perfect for selling Produce at a Farmers Market, Jelly Beans in a Candy Store or weighing Roast Beef and printing a Package Label in a Butcher Shop. 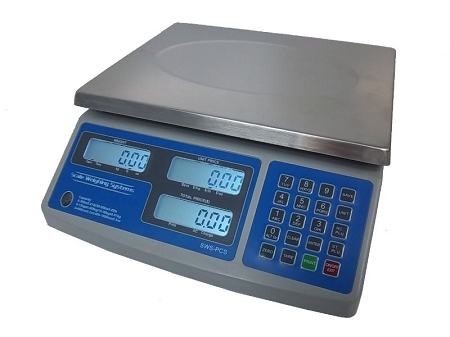 The SWS-PCS Series is NTEP (Legal for Trade) and available in 2 Dual-Range Capacities, 30 lb and 60 lb for more precise weighing for almost any product. Unit readability in lbs, oz`s and kgs is standard in both capacities as well as Dual Displays, Front (for the Operator) and Rear (for the Customer). 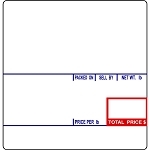 With the ability to program up to 265 PLU`s with 9 direct (Address: 1-9) thru the Keypad or with the Software (included) and print a label with the "Item Name", "Barcode", "Packed On" and "Sell By" Date, "Price/lb", "Total Weight", "Total Price" as well as the "Store Name" on a Standard CAS #8010 or #8040 Label using the optional Godex DT4 Label Printer. 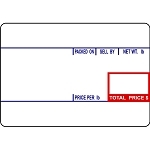 Bar-Code Format is User-Selectable from 14 preset Bar-Code Formats to ensure compatibility with most POS Systems. 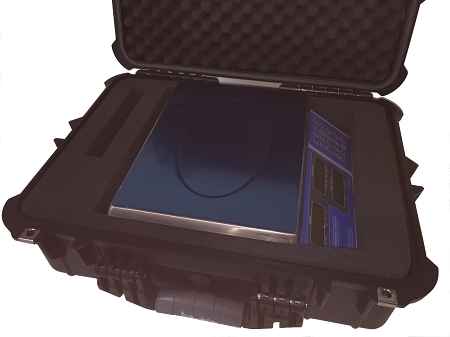 The Scale Weighing Systems 20" Protective Carry Case is made from high-impact PP? (Ultra-High Impact Polypropylene Co polymer) that is resistant to fatigue and holds up under the toughest conditions. 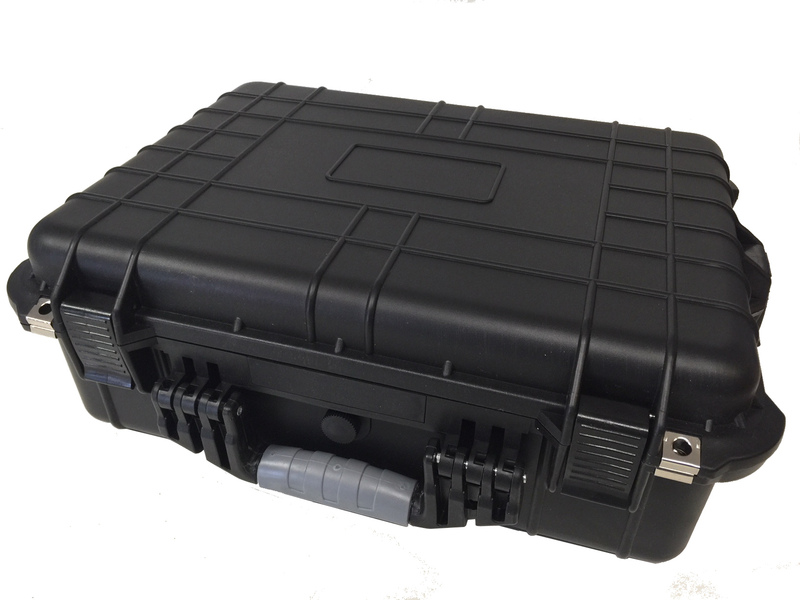 This lightweight, durable box is easy to load, lock, unload and transport thanks to a molded rubber handle. 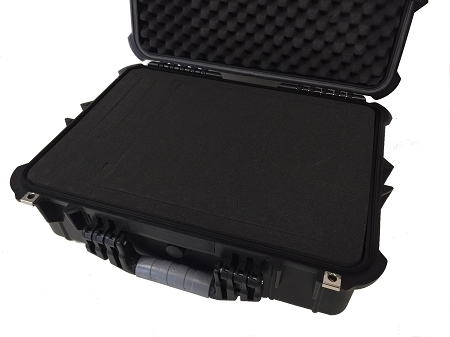 Featuring air-tight, waterproof, shock-proof and anti-corrosion properties, it will protect contents in the most adverse conditions and environments. The interior compartment utilizes 1 layer of die-cut foam and 2 layers of solid foam making it easy to customize for a glove-like fit. The die-cut foam layer is cut horizontally and vertically to create small cubes that can be plucked out to create a customized shape of what is stored in the case. Exterior knob with O-ring allows for manual pressure adjustments and/or pressure equalization. Extremely durable draw latch resists breaking and/or detachment even under high impact. The Scale Weighing Systems 20" Protective Carry Case features 4 clasps that are lockable by adding a key or combination lock. Outside dimensions: 20.25" x 15.77" x 7.41"
Inside dimensions: 17.88" x 12.89" x 6.72"